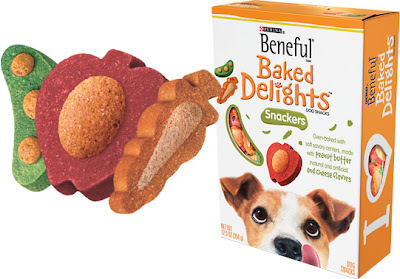 For those of you that haven't requested a Free Beneful Baked Delights dog snacks Sample from Walmart, you still have time, as the offer is still available. "Beneful Baked Delights dog snacks are lovingly crafted and then oven-baked to perfection. Your dog will love discovering the delightful varieties of tastes and textures from savory shortbread-like cookie dog snacks to crispy, airy crackers made with real beef, chicken, peanut butter (natural & artificial) or cheese flavors."